CareCredit, a third-party company, provides low- and no-interest financing to help you afford the necessary dental care. Our friendly and knowledgeable team members can assist you if you would like to apply for CareCredit at our office, or you can apply online at the CareCredit website. To learn more about CareCredit or any of our convenient financial options, we invite you to call or visit our office in Glendale soon. 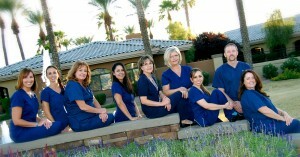 We are happy to serve the communities of Glendale, Peoria, and Phoenix as well as the surrounding communities.